Bone grafting is a common procedure where the jawbone is built up to accommodate a dental implant or other periodontal procedures. The bone used to graft is taken from the human (allograft) or from the animal (xenograft). Sometimes, the bone is taken from another area of the mouth when drilling takes place. 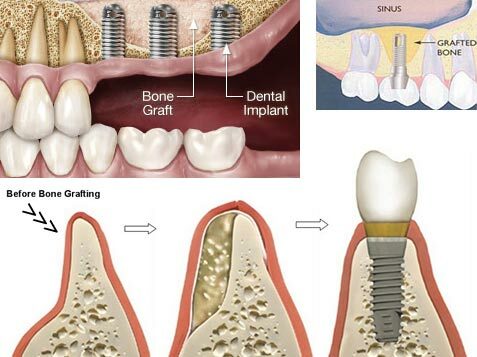 The bone fragments are collected from the mouth and used for the graft. The human bones are harvested by bone banks and are a very safe source for bone donation.